While China has increasingly adopted Western influences, the traditional family structure is still highly valued and holds a prominent position in the Chinese culture. Both traditional and modern Chinese families have some similar values and morals to one another, and these have been a part of daily life for many centuries. Traditional Chinese family values feature very clear-cut, different roles and rights for men and women. While these are rapidly changing, the original values are still evident on some levels. In the traditional Chinese family, the man is responsible for maintaining, providing for and protecting his family. At the same time, he is given all the decision-making power when it comes to his wife, family and other family members. He is also responsible for taking care of and paying for his children, including their education, until they are married. In modern families, the family members consult elders about important decisions, but the father no longer has the final say in regard to his adult children's lives. Women have traditionally served in a subordinate position within Chinese culture. Traditional Chinese mothers usually stayed in the home to take care of the home, the children, and the rest of the family. However, the role that women play within society is ever expanding. According to the 2010 United Nations Development Programme's Human Development Report, China received a gender equality ranking similar to the U.S. Additionally, the role of women is vastly altering. Due to the many opportunities, women are seeking careers rather than the traditional child-rearing role. However, there does seem to be a limit to what women can currently do, according to Fair Observer. There are fewer females than males in higher paying, higher power positions, like CEO roles, but this is quickly changing. Traditional Chinese families honor the patrilineal descent system. This means that a child's lineage and descent is calculated from his father only. Men are the only ones that can inherit family membership and family land or other inheritance in this type of system. That statement 'family is life' holds true in Chinese culture. Family is very important. So important, in fact, that the family is the base of Chinese culture. Several Confucian thoughts are based around family. For example, three of the five important relationships are husband and wife, elder and younger siblings and brothers. To really understand the importance of family you need to examine the different relationships. There are also specific responsibilities and duties delineated to parents, children, and grandparents in China's 1980 marriage law, which is currently in effect. However, it should be noted that the role that family is playing is an evolving one, with some young adults breaking off from their culture and starting their own traditions. Marriage, family and children are also very important in the Chinese culture. Because such a large portion of the population lived in rural environments for so long, getting married and having children meant that you'd have workers and be able to create and maintain a homestead. Traditional marriages were arranged by the parents of the bride and groom. Many couples never even met one another until their wedding day. Arranged marriages were prohibited in the 1950 marriage law. Modern Chinese couples choose their own partners, but many still ask for their elders' approval. As in many Asian cultures, the elders of the family are revered for their wisdom. This is founded in Confucianism though the concept of filial piety, devotion and respect of elders. In both traditional and modern families, elders are respected, taken care of and looked up to by the rest of the family. In traditional families, including those living in a rural environment, many households include five generations living together. Even in modern households, many grandparents live with their children and their kids. They typically play a large role in the raising of their grandchildren. When elders die, they are traditionally honored by ancestor altars in homes, featuring candles, photographs and favorite items of the deceased. However, it has been noted that in urbanized areas this is starting to break down. In a journal article on China's rapidly aging population, it is shown that the concept of filial piety is starting to erode, bringing with it the potential concern of a lack of care for the elderly. In order to combat overcrowding and overpopulation, the People's Republic of China mandated a one-child-per-household policy in the late 1970s. This law often only applied to urban families while some rural families could get away with having more than one child. This policy influenced how children were looked at and led to female infanticide because females wouldn't be able to carry on the family name or inherit the family land. The policy was officially phased out in 2016. In traditional families, all children are expected to obey their parents without discussion, and parents could legally kill their children if they disobeyed them or refused to show unquestioning obedience. In modern China, both girls and boys are usually treated equally. However, many Chinese parents are strict, since the choices of the children reflect on the parents. This comes back to the family being seen as a unit rather than individual people. 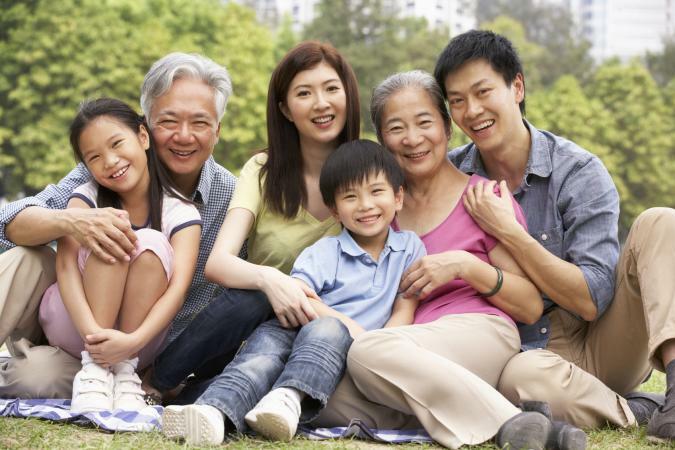 The Chinese culture has undergone many dramatic changes in recent years, but the family structure and the importance of family values remain a focus. Families are still cherished, honored and respected, whether you live in the traditional, rural environment, or the modern, urban city.